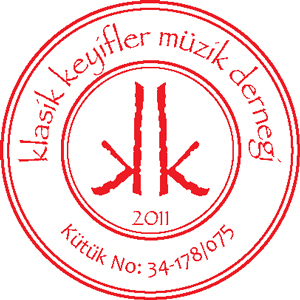 Klasik Keyifler project formally functions under the legal entity of Klasik Keyifler Music Association, KKMD (Klasik Keyifler Müzik Derneği) founded under the auspieces of the Governership of Istanbul, Association Department. This is a general equvalent of a non-profit organization in the US, and it is a NGO within the EU standarts. 2- As a full member, by requesting a permission from the authorities, and requieres membership payments.